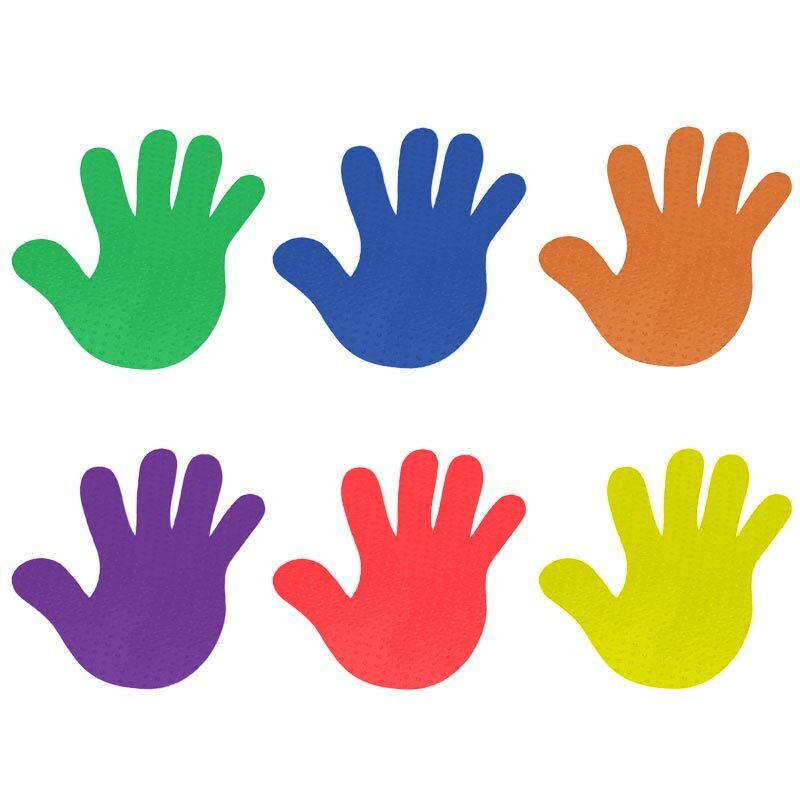 The PLAYM8 ® Marking Hands can be laid out in different formations for children to follow. 6 x Hands (one of each colour - Red, Yellow, Blue, Green, Purple and Orange). Made from a soft moulded vinyl that lies flat and sticks to clean floors. Can be used with the hand and feet spots.